green & black paint scheme as it fades into history. 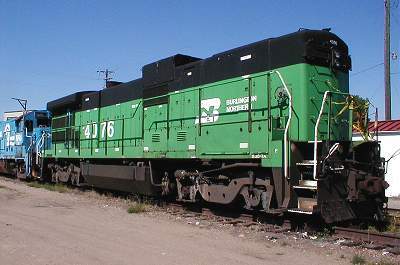 BNSF 9667 at St. Paul, MN, 11/14/02. 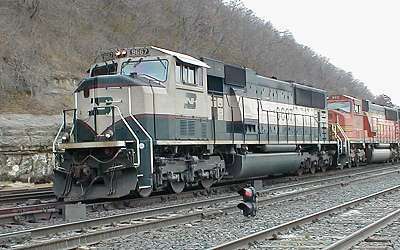 This was the last of the BN paint schemes found only on the first 300-plus of these AC locomotives. 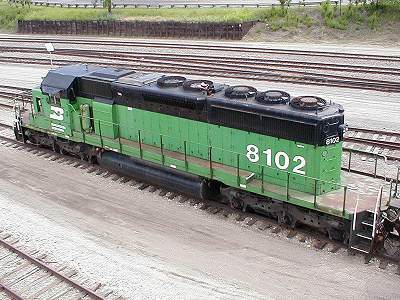 BN 8102 showing roof details at Minneapolis, MN, 6/16/02. BN 4076 "B-unit" at Minneapolis, MN, 9/16/05.